After an unexpected hiatus, it’s finally time to review our last book club pick! Find out what took so long and what Jaclyn thought of Girl, Wash Your Face by Rachel Hollis. Sorry about the wait. I had intended to start up the discussion on Girl, Wash Your Face in February, but then I went and had a baby instead! She’s about the sweetest thing in the world, and I am over the moon in love. Hopefully you can forgive me for the wait. I think I’ve finally adjusted to life with a newborn, at least as much as anyone ever can. 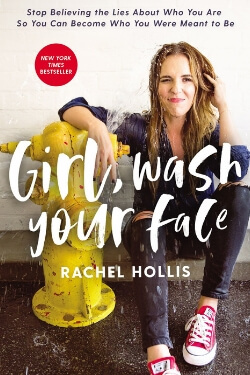 So here’s are my thoughts on Rachel Hollis’ 2019 bestseller Girl, Wash Your Face. Thanks for being patient with me and I can’t wait to hear what you thought of the book. Welcome to the Pingel Sisters Book Club! 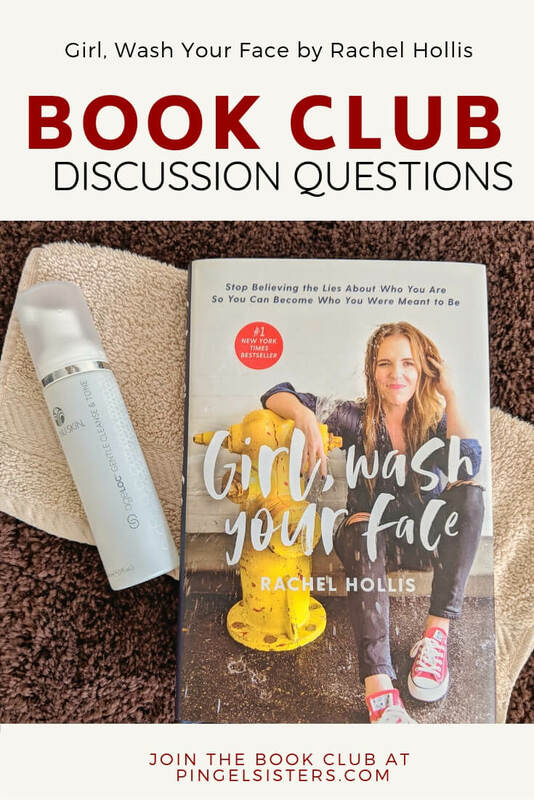 If you are new, last week we announced our February book club pick – Girl, Wash Your Face by Rachel Hollis. To give a bit more focus to our discussion, this month I’ve come up with 7 discussion questions for Girl, Wash Your Face. If you haven’t finished the book yet, don’t worry. There aren’t any spoilers in our questions. At the end of the month, I’ll post my thoughts on the Girl, Wash Your Face discussion questions. At the same time, Rachael (who runs all the admin tasks for the blog) will open the post for comments. I’m excited to host this month, and can’t wait to have an open conversation about Girl, Wash Your Face. There have been a lot of mixed reactions to this book. Some people adore Rachel and find her story incredibly relatable; others find her obnoxious and out of touch. Are you on one side or the other or somewhere in the middle? Every chapter of the book follows the same format: Identify a lie we tell ourselves, share a meaningful personal story on why it’s a lie, and then identify three truths you should actually tell yourself. While reading this book, did you identify any lies you tell yourself? What truths do you think you should replace it with? I really do like the format of the book. It’s about the only thing I like, but it was a very smart layout. If I had to pick a lie I tell myself, it would be that I’ve never had negative body issues like most women have experienced. I think the truth of the matter is that I’ve escaped those issues not because of anything I did, but because I won the lottery on metabolism and having full term pregnancies so far apart, I was able to recover quickly. This time around, my body is not bouncing back as quickly, and I’m finding myself frustrated and angry that I’m not the size I want to be immediately post-pregnancy. I’m trying really hard to recognize that a little effort is going to be needed and that I put more value on being thin than I should. Throughout the book, Rachel emphasizes how she’s just like you. “I’m one of the nerdiest people you’re likely to meet,” (page 3), she states. Or other statements like, “Ya’ll, I’m no saint,” (page 64), “…not in a way that makes tangible sense to a virginal clarinet player…” (page 74), “I’m bad at pregnancy.” (page 82), and much more. Do you find these statements authentic? – Just FYI, any true southern women is saying, “bless her heart” at her EXCESSIVE use of ya’ll throughout the book. And if you live in the South, you know that’s a sweetly veiled insult. In an effort to try and be relatable to everyone, she shows that she doesn’t really understand any of these stereotypes. Nerdy is not wearing glasses. Nerdy is crying during Lord of the Rings every time Sam’s monologue occurs in The Two Towers every. single. time. She casually drops that she reads all the books and doesn’t mention a single one that has helped her cope with the trials of her life. The book lovers I know will talk about how X or Y book helped changed their view on life or understand another person’s perspective better. She talks about how she had body issues and relates to concerns of those who deal with fat shaming, and her “fattest” size? Ten. That’s it. You want to know how to relate to women with severe weight, follow Jacqueline Adan on Instagram and read about her latest skin removal surgery on her legs that was the result of dropping from 500 to 300 lbs (spoiler – it’s really painful and really intense). Size ten might not be normal in LA, but it doesn’t make you an expert in negative body images unless you have some severe behaviors like Anorexia or Bulimia attached to it (and all she referenced was eating one full pack of Oreo’s when she was sad). Rachel truly believes in all of the truths she has told herself, but that doesn’t make her statements true for everyone. What “truths” has she told herself that are lies in your life? Or vice versa, what “lie” did she highlight that is actually a truth for you? Because for some of us, our bodies fail us. It has failed me and I’ve had to accept that fact. A hard pregnancy is miscarrying at ten weeks and seeing someone else post their ten-week ultrasound saying, “surprise! I can’t believe we’re doing this again for the fourth time, how crazy are we?” and thinking that’s what my baby was supposed to look like. Bonus points that the baby was born on my birthday, which I so very much wanted for that pregnancy as I share a birthday with my mother and wanted that same experience with my child. A hard recovery is seeing 40 pregnancy announcements in the three months since you miscarried. That comes out to an average of 3-4 announcements every week. A hard pregnancy is when you hit five weeks and wonder if the fetus is even alive and have to wait another three weeks for confirmation. After all, the last two didn’t develop past that point and this is your third pregnancy in four years. A hard pregnancy is when you are so sick for six weeks that you just lie in the dark because you are too physically overwhelmed with pain to move. A hard pregnancy is having your husband sticking an inch and a half needle into your upper thigh four times a week for three months straight because your body doesn’t produce enough of the pregnancy hormone needed to keep the baby alive (along with other supplementation because it just isn’t enough). A hard pregnancy is the anxiety that comes with knowing that your pregnancy might not have a happy ending because you know too many stories of beautiful and wonderful women who never came home with their baby, including yourself. After all, you’ve been the exception once, why wouldn’t it happen again? And anyone who has been devastated by loss will say that each of those pregnancies mattered and not just as a part leading up to something greater. They were their own unique experiences, and I would trade all of the timing and the life lessons I’ve learned if it meant that I could hold that baby in my arms and have them come home. We all would. The bottom line of the book is that you control your destiny. “I’m an expert in bouncing back from rejection and fighting my way toward my goal,” she confidently states on page 55. And she often makes assertions that your failure is SOLELY on you and your outlook. “…taking the easy way out is how you end up on the sofa, fifty pounds overweight, while life passes you by,” (page XV). Or “…if you’re unhappy, that’s on you.” (page 5). Or how about, “…ultimately nobody is going to help you achieve (your dream),” (page 70) Do you agree with this assertion? Why or why not? As an aside – this girl is a pro at throwing out thinly veiled fat shaming comments in her book and victim shaming those with eating problems. That story about Pam and not respecting her because she doesn’t stick to her diet was revolting. Now to the actual question at hand: Do you make it on your own? Personally, I don’t think so. I know I haven’t. I have been successful in my career because of wonderful mentors and friends who have guided me through the ups and downs of being a fundraiser. I have been successful in my marriage because my husband gives me all the support I need to fulfill all I can imagine for myself (instead of imposing his ideals and standards on what I should and shouldn’t accomplish, as many of the men I dated tried to do). I have been successful as a mother because of the wonderful example I’ve had to follow. On top of that, there are so many women who have paved the way before I ever existed so I could live in the world as it currently is. To thank them, I need to strive to build on that foundation so that the women behind me will climb higher and reach farther than I could imagine. Rachel sells advice for a living. It’s not a dig, she literally says that on page 115. And yet, many of the criticisms against her book say that she assumes her white heteronormative upper middle-class Christian worldview is exactly what ALL women experience. Critics point out that she has benefited from a socio-economic background that provided few have: landing a job at a prominent film company that lead to money and a rich partner who in turn can pay for needs like mental healthcare, access to other prominent individuals in society, in-home childcare, and much more. Do you think her advice benefits all women? Or is she simply making money selling advice to women who fit the same worldview? I think you can guess what my opinion is by now. It’s a little rich that she states in chapter 17 , “you can choose to continue to abuse your body because it’s all you know.” She talks about how her therapist helped her. And I 100% agree that therapy is incredibly important, but have you gone to therapy and seen the price tag? After my second miscarriage and with the stress of my very horrendous job, my doctor asked me four times in a half hour if he needed me to write a prescription for anti-anxiety medication. I can take a hint, but I really don’t like messing with my hormones unless I have to. So I agreed to go to therapy. With insurance, a month of therapy would cost me $120 a month ($2400 yearly). That’s a pretty steep price tag for some, and that’s with insurance. I imagine it’s even higher if your medical plan doesn’t cover it. Her advice is the advice of a rich white woman. Need to do self-care? Go on a date, get your nails done, have a massage, buy that $1,000 (!!!) dollar purse. That’s what rich white woman do. Again, that’s a pretty steep price tag and a very superficial way to provide yourself with self-care. Do you prefer fewer or more questions? What do you think is the sweet spot for number of questions? Agree? Disagree? 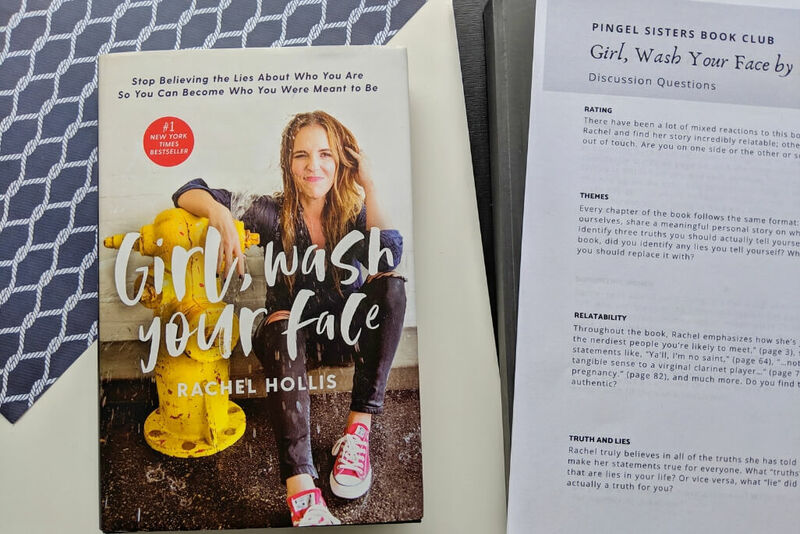 We’d love to hear your thoughts on Girl, Wash Your Face by Rachel Hollis! I like Rachel Hollis. I listen to her podcast, RISE. It’s very motivating. This book is on my TBR as is her first book, Girl Stop Apologizing. I like how you set up this reading challenge! I’ll definitely be joining you! Thanks for the great post. These are interesting questions and I look forward to the discussion posts. Anyway I have been saying Y’all a lot, without even realizing. I am not from the USA so I didn’t know it was a thing. TIL! I am looking forward to reading the book and discussing further questions. Millions of women love Rachel Hollis. I am not an exception! I rated this 3 stars. I honestly could not fully read the book. I found it long winded and redundant. I ended up reading the first paragraph or so at the beginning of each lie and the the suggestions. Otherwise, I would have completely DNF’d this book. For those of you who enjoyed this, I am truly happy for you. I did find several of the lies relatable to me which is why I gave it an honest attempt to read it. I am not likely to attempt another of her books. First off, congratulations on the new baby!! Second, I am SO HAPPY to hear that someone else dislikes Ms. Hollis as much as I do. I made it through about three chapters of the audiobook before giving up, somewhere around the story about her judging a girl in high school for not shaving her toes. I agree with you that it’s a cute concept, but she just came across to me as completely vapid and self-serving. I hadn’t heard of her before I started listening to the book (on the advice of several friends). I did a quick Facebook search and the first thing that popped up was a picture of her showing off her new “Mogul” tattoo. That pretty much told me all I cared to know about her. I’m curious to hear how you and your sister discussed your differing views of the book. Question 1: I had heard very little about this book and/or Rachel Hollis, until seeing this as the selection for the February book club. I absolutely devoured the book once it arrived in my mailbox and have flagged many passages for future reference. I gave it a 4-star rating, and personally some of the ‘advice’ she shares was exactly what I needed at the time. Like you mentioned in the original post introducing the book, it’s a good book for people who often feel they aren’t good enough, or doubt themselves, which I definitely do on the daily. I appreciate how honest and real Rachel got in this book, although her struggles might be seen by many as being small obstacles, it still takes courage to voice your struggles to the world. 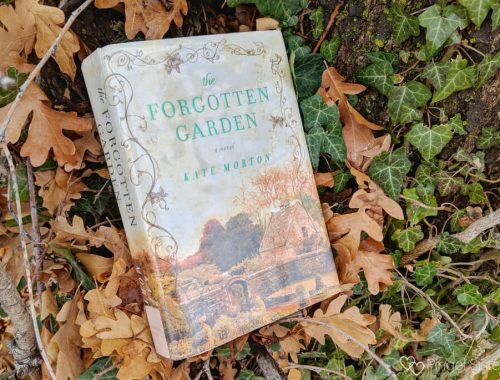 However, I must say that since reading the book, I have become much more familiar with Rachel and follow her on Instagram and I have come to find her a bit much for my liking, to the point where I may need to unfollow her. Yes, I liked the book, I’m still conflicted on how I feel about her. And now have a better understanding of the controversy surrounding her personality and in -your-face attitude. Question 2: I absolutely loved the format of this book, and I do believe it’s one of the reasons I liked it so much! It’s a simple and easy to follow format, and you can easily put the book aside and come back to it later and you won’t be lost. I related to a number of the lies Rachel puts forth in the book but primarily Chapter 3 “I’m Not Good Enough” and Chapter 10 “I Should be Further Along By Now.” This is an area that I have struggled with as far back as I can remember. I never received a lot of positive encouragement when I was good at something, for me there was always room to be better. This lack of reinforcement, led me to start questioning myself often and well with time it got worse. There are also several instances from high school that I remember vividly that did nothing to help my self-confidence issues, and while some of that has improved with age, I still feel the effects. Other people’s perceptions of where you should be a certain point in your life weigh on me from time to time. I wasn’t the type of person to jump into relationships just to be in a relationship, because I wasn’t willing to waste my time on someone that didn’t bring out the best in me, or who didn’t inspire me to be the best version of myself. Thankfully, I have found someone who does that now, and yes, it took longer than the norm, but what’s important is my happiness and I wasn’t willing to just do what you’re supposed to at a certain age. These days I find it extremely hard to talk to some of my younger cousins who goal it is to be married at 22 and having kids shortly after. There’s so much more to life than living my society’s standards! Question 3: For me, this question is difficult to answer because all I know about Rachel is what I read in this book. And I find it extremely hard to judge someone based on 213 pages of their writing. How she describes herself, may be completely different than how her husband, her kids or her friends may describe her. But I truly think, these is how she sees herself. I will say she does use some stereotypes throughout the book, that maybe she doesn’t truly understand, but that’s how stereotypes exist in the first place. Question 4: Well, none of the lies jump out as truth for me and vice versa, some of the lies I cannot relate to. For instance, I have no experience about being a mom. But yes, I have many fears and concerns, if one day I do become a mom, but my fears revolve around my anxiety and my ability to provide the basics to a baby when some days I can’t even meet my own needs. Also, in most areas of my life “I’ll start tomorrow” doesn’t apply. When I say I’m going to do something or commit to a task whether volunteering, house chore, etc., I’m unusually good at actually sticking to it. The one area that I don’t do so well is the career, but there’s underlying issues there beyond my control. Question 5: Part of me thinks so and part of me knows that other factors come into play as well. I know for myself, I blame a lot of other things in my life, when part of the reason I’m not where I want to be is because I fear failure. I want to learn to believe in myself and have affirmations that help me each morning to go out and make the world a little bit better, and to do the things I love despite what other people will think. At the same time, having money, and connections definitely helps people out in today’s world. As an introvert, this is hard for me, because when I apply for a job I really want, I know I will be amazing at the job, but it’s not easy to convince a potential employer of this when you don’t have the necessary connections, or when you get nervous and say the wrong thing. Question 6: This is where I think the critics are right. Selling is advice is her job, so she’s going to do her best to do just that, and I don’t think her advice necessarily generalizes to everyone. For instance, I know that mental healthcare is important, and would love to be able to have access to it, because I know it would help me deal with my anxiety and insecurity issues, but my financial state doesn’t allow this luxury. Mental Health is an area near and dear to my heart, and I try to spread awareness when I get the chance. In today’s society there is definitely still stigma associated with mental health related issues and that starts at the government level. Here in Canada, we have universal healthcare, but healthcare doesn’t cover mental health costs. Therein itself lies an issue, as the government is indirectly saying mental health isn’t as important. So it’s easy enough to tell someone to go to therapy, but if they can’t afford it, then what? I do think some of her advice can be useful to each person, specifically that we do have some control over our situations, but not everything applies to everyone and other factors definitely play a role. Question 7: I don’t think there really is a sweet spot when it comes to the number of questions. Some books have more substance and therefore deserve or spark more questions and discussion. In my very limited experience, I like somewhere between 5-10 questions, in my opinion, having more than 10 detracts from the quality of responses and the thought put into them.